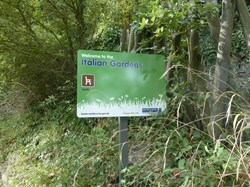 From Terrie Rintoul, Chair of the Friends of Meads Parks and Gardens. 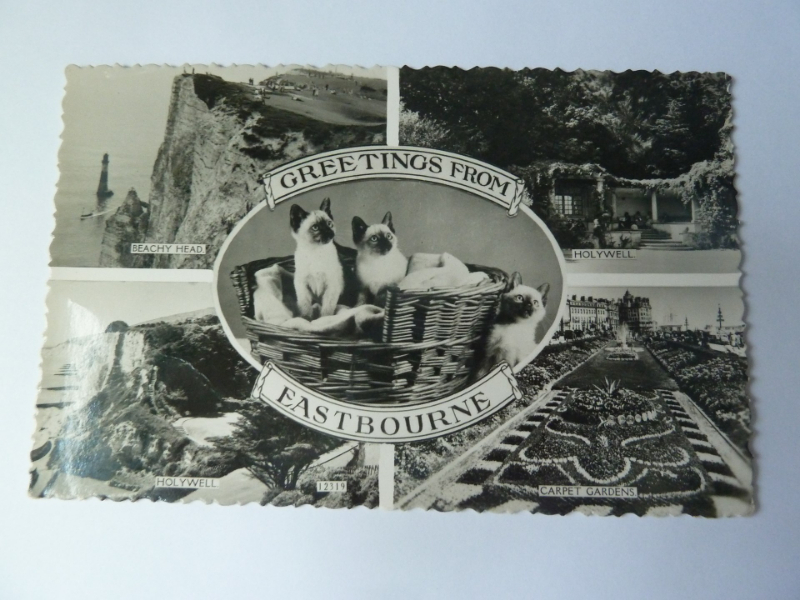 If you are visiting our website as a result of reading the article which appeared in the edition of the Eastbourne Herald which was published on 28 September I would like to welcome you. You can join via the website by clicking on "Membership", filling in the form and clicking "Submit". You would be most welcome and your help and support would be greatly appreciated. 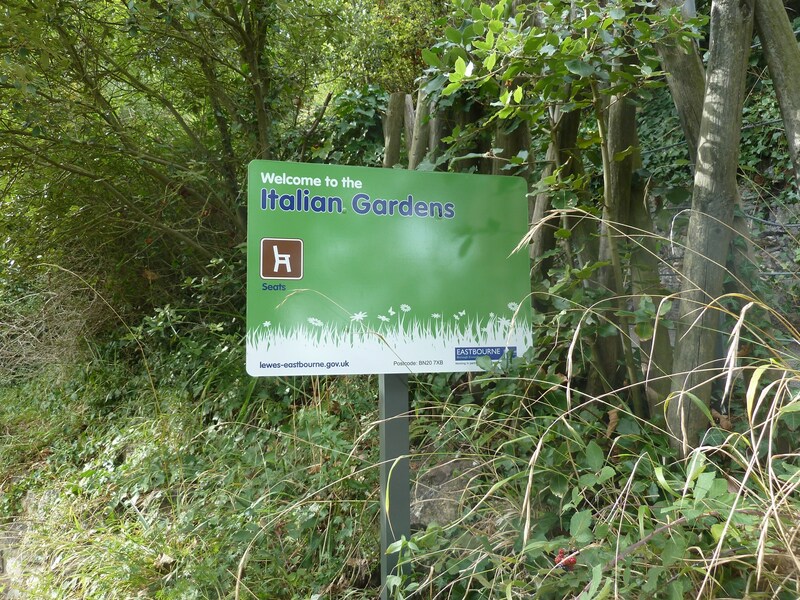 The Friends of Meads Parks and Gardens are delighted that, at their request, for the first time in their history the Italian Gardens were included in the town’s Heritage Open Days event from 13-16 September 2018. The exhibition set up the ‘stage’ structure at the far end telling the story of the gardens was visited by over 180 people. And by a remarkable stroke of good timing on 14 September the Friends request that the name they have been known by through word of mouth should be made ‘official’ was granted with the installation of a sign at the entrance. 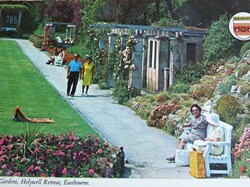 As our exhibition showed, the Italian Gardens featured in many postcards both standing alone and in those showing various views of the town. They were prized alongside Royal Parade, Marine Parade, the Carpet Gardens, Beachy Head and Holywell itself. 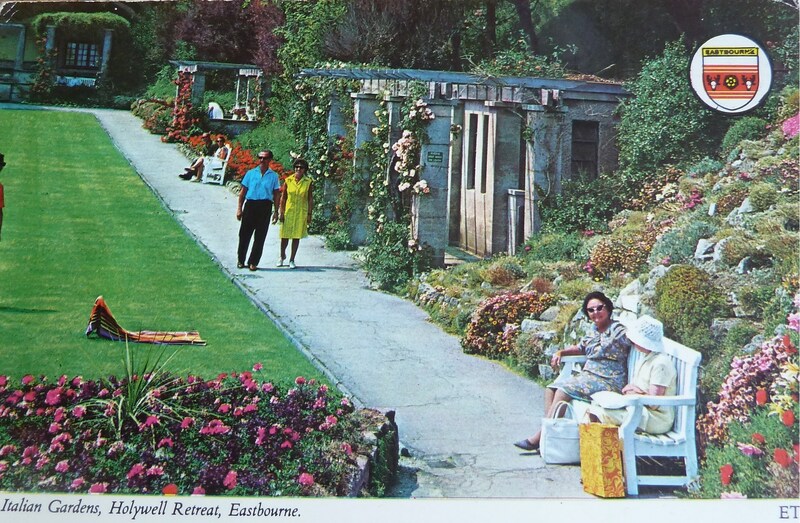 Another postcard dating back to the 1970s show the gardens full of colour which means that for at least fifty years they continued to be meticulously cared for and enjoyed by residents and tourists alike. But those days have gone. 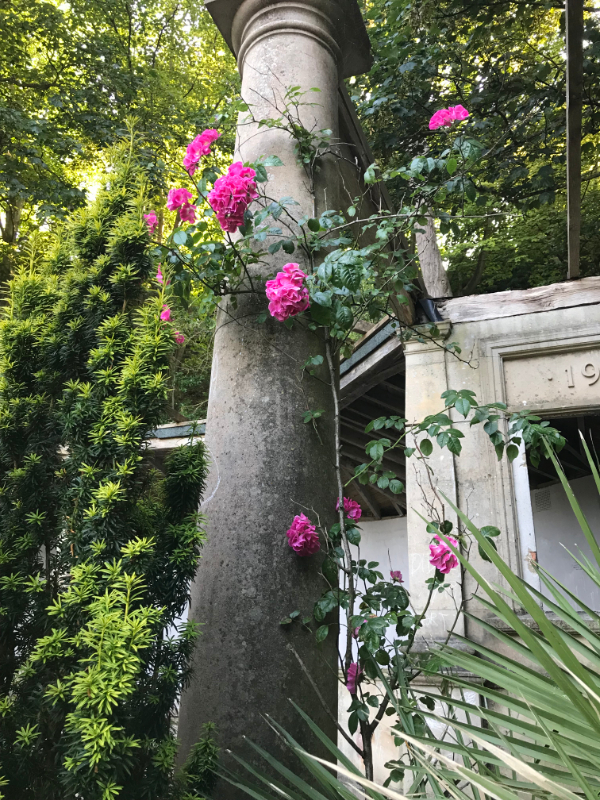 The ‘stage’ structure and the pergolas, once groaning with the weight of climbing roses are bare. Self-seeded trees and shrubs have been allowed to grow around it, hiding it from public view. All this combines to give the gardens an abandoned, uncared for feel. And when something looks uncared for it soon becomes vulnerable. For many years there have been problems with anti-social behaviour and rough sleepers. Cans thrown into the undergrowth at the back attract more cans, graffiti attracts more graffiti. The ‘stage structure’ is regularly used as a lavatory, fires are lit in the corners and so it goes on. 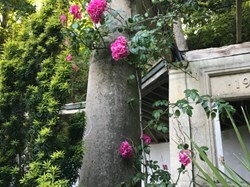 But, in June this year, the gardens suffered its worst damage with the destruction of the stone latticework running across one of the windows of the ‘stage’ structure. During the exhibition, our petition asking visitors to support our request to the Council that the damage is repaired was signed by over 100 people. 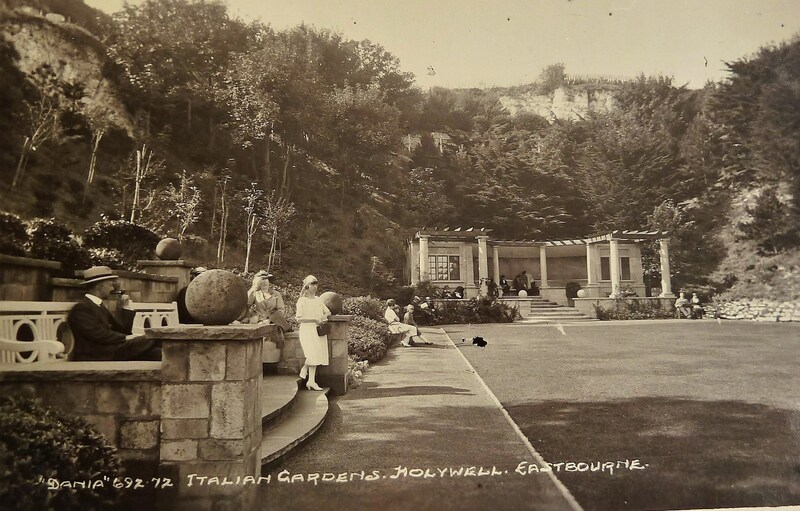 History tells us that the gardens were built ‘in the Italianate style’ by unemployed Eastbourne men returning from the horrors of the First World War to help them regain a sense of purpose in their future lives. We can’t help wondering whether those inflicting this senseless damage would have still done it if they had realised this. History also tells us that the Italianate design was completed in 1922. This means that in 2022 they will celebrate their centenary. Can we improve them in time to give them the 100th birthday present they deserve? A lot to do and only four years to do it. Perhaps with your help and support we can. Since were formed in 2015 we have been lucky enough to have the support of local artist Paul Clark. He not only designed our beautiful logo but also all the flyers and posters for our events. The brilliant thing is that Paul has donated his time and talent to us for free. One of our best raffle prizes has been two places on his popular watercolor classes at South Street Art Studios and the great news is that Paul has now published a book based on his teaching techniques. I caught up with him to find out more. Watercolour: Techniques and Tutorials for the Complete Beginner explains the fundamentals in a friendly and accessible way. Paul shows you what you need in terms of tools and materials and then goes on to explain and illustrate the basic techniques before presenting ten of his paintings for you to replicate and put the lessons you have learned into practice. ‘One of the greatest pleasures for me in teaching painting is to watch individuals develop their own style and see their reaction as they master new techniques. To be able to take my methods to others beyond the classroom is a real privilege.’ says Paul. And you will have the chance not only to buy Paul’s book but also to meet him in person at his book signing event taking place at The Dolphin pub in South Street on Thursday 23 November from 4.00pm to 7.30pm. At £9.99 is makes a great Christmas present. 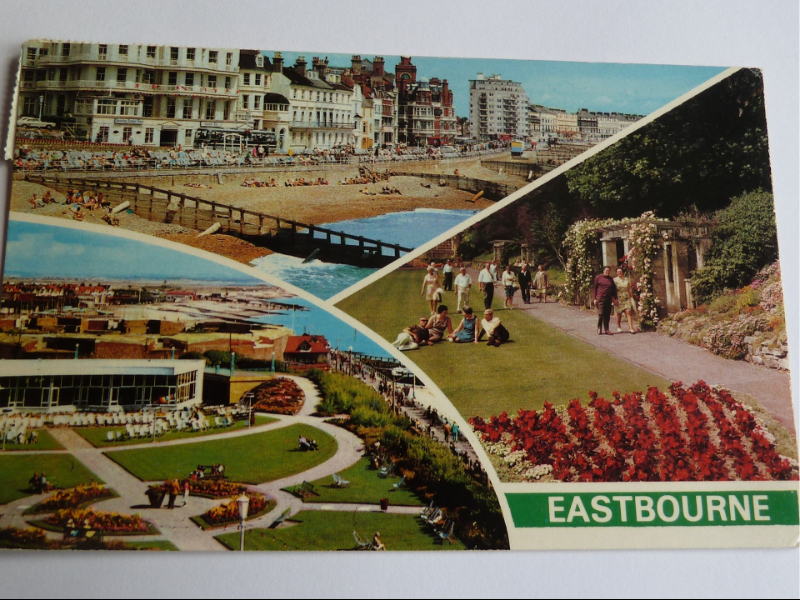 Paul is now teaching from his base at Bexhill but has said that he will be delighted to carry on helping us with flyers and posters. It reminded me of the year when he hand painted the sign for cream teas at one of our Meads Village Picnics. Here's a picture of the maestro in action. Some time ago, our Treasurer Wendy Dunne applied to Waitrose for the Friends to be one of the good causes in their 'Community Matters' campaign and we found out earlier this week that we had been successful! A huge thank you to Wendy. During the whole of November The Friends are are one of their three chosen good causes. So each time you shop in the Eastbourne store this month, please pick up a green token and place it in our section of the Community Matters box. The more tokens we get, the bigger the donation we will receive. Here is a picture of Wendy and I visiting the store this morning and we were delighted to see that our box already had quite a few tokens. Please keep them coming and if you can ask family, friends and neighbours to do the same then that would be fantastic!